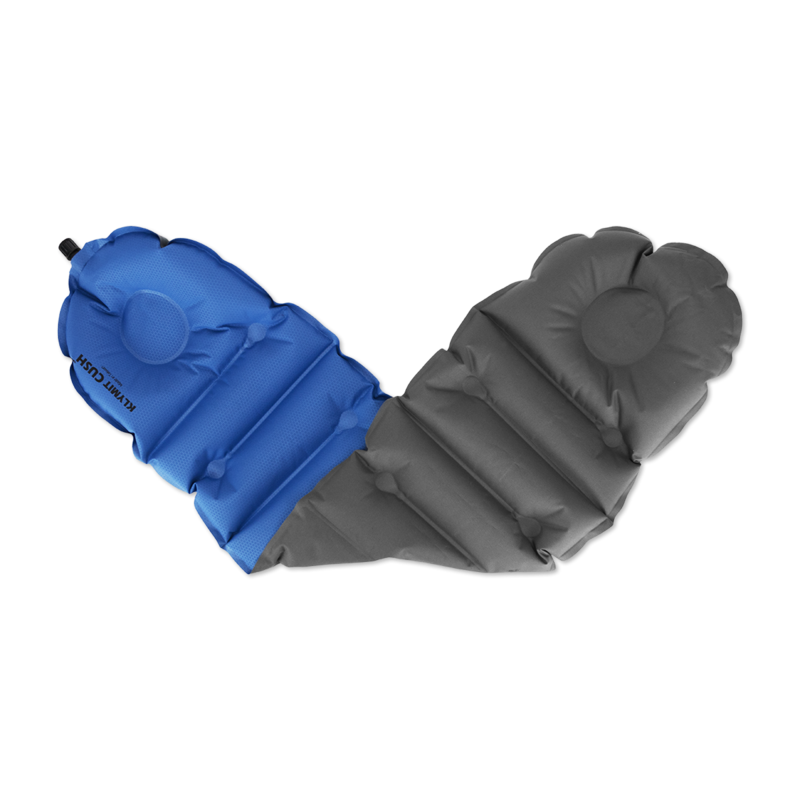 For the pros and cons of this and 15 other backpacking and camping pillows, read Trailspace’s “Backpacking and Camping Pillow Comparison” in the Gear Guide. 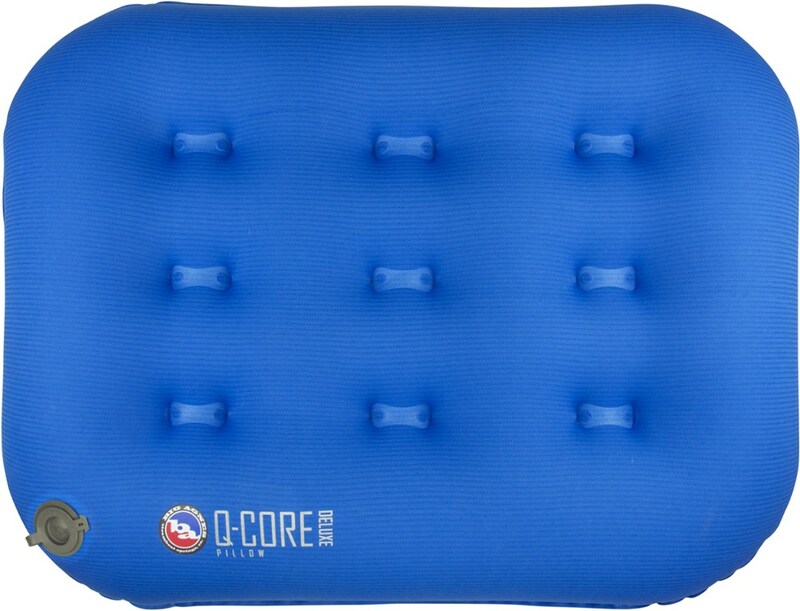 Full Size	 12" x 16" x 2.5"
Packed Size	 2" x 7.5"
Dimensions: 12" x 16" x 2.5"
The Air Core packs down very small, but can be inflated to a large size. 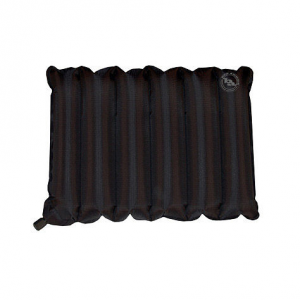 Unlike compressible pillows, you can easily adjust its firmness to your own liking and comfort. The I-beam interior construction panels keep it from becoming too rounded on top for an even surface. 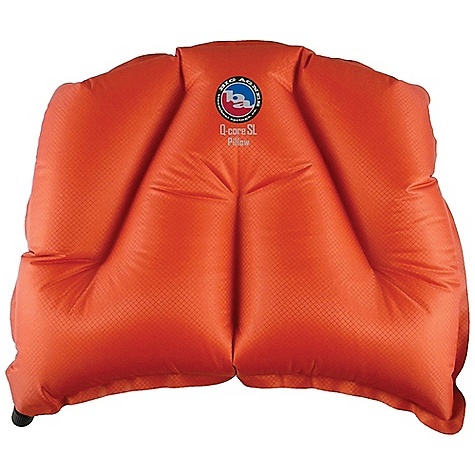 It's easy to inflate and you get a lot of surface area for not much weight or pack size. Despite the many advantages of this inflatable, there was one con that trumped all—the nylon is quite noisy and drove one tester nuts. 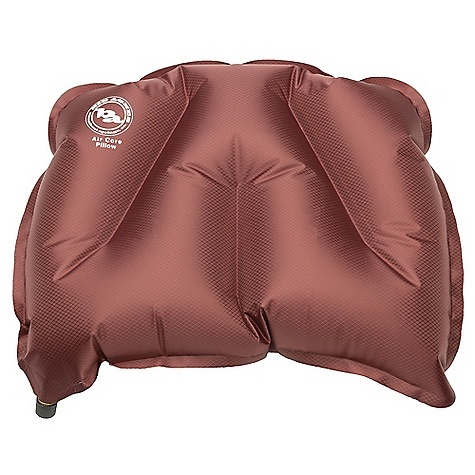 Putting clothes on top of it or placing it inside a very large pillow pocket (like in Big Agnes’s rectangular sleeping bags) can muffle the sound some. If the nylon was covered in something softer and less noisy this pillow would be vastly improved. 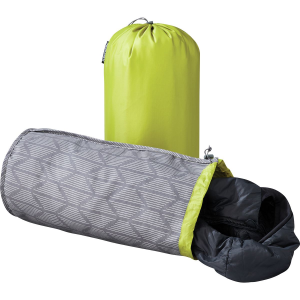 Review originally published as part of Backpacking and Camping Pillow Comparison review. 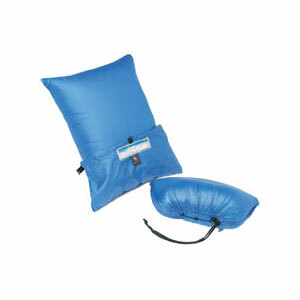 The Big Agnes Air Core Pillow is not available from the stores we monitor. It was last seen March 20, 2019	at CampSaver.com.